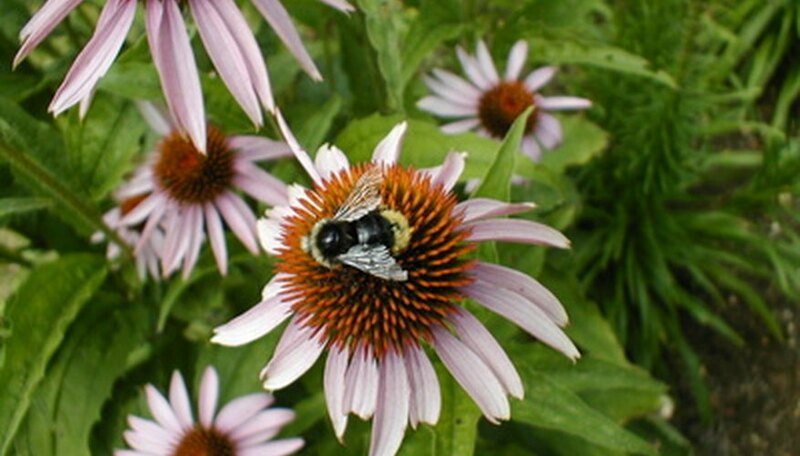 To the bee and many other flying insects, flowers are a source of food and a place to rest. Bees will stop and sip nectar from any flower in its vicinity-- though, they generally are most attracted to purple, blue, yellow and white blooms and those that are highly fragrant. Bees are extremely helpful in the garden-- the relationship between plant and bee is known as "symbiosis" because the flowers need the bees for pollination. Butterflies, other insects and even hummingbirds can also assist in the transfer of pollen from one plant to the next. Keeping bees out of the garden is impossible but choosing the right flowers can cut down the amount of stingers that visit your garden. Dianthus, also known as Sweet Williams, are generally not attractive to bees, especially red shades. As with most red-colored blooms, ultraviolet rays are absorbed by the color, making them less appealing to the bee flying by than white, yellow or other bright-colored blooms that reflect the ultraviolet rays. 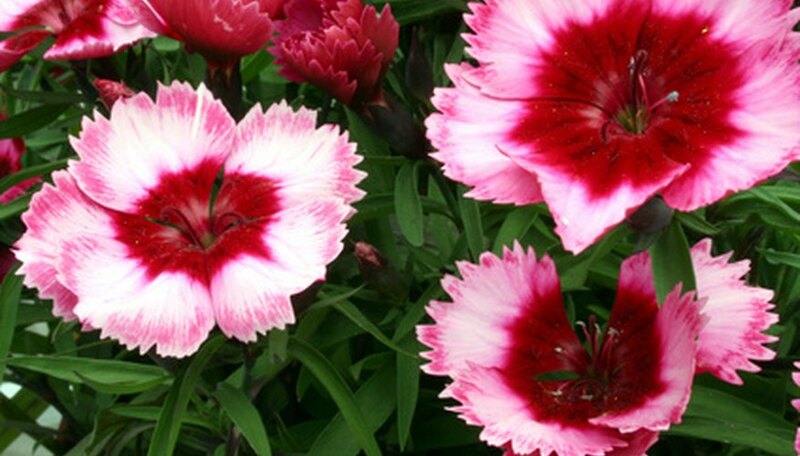 Dianthus is a perennial, similar in shape and bloom to the carnation but smaller. With little pollen or nectar available, dianthus is very unlikely to have more than a lone passing bee visit. Other common red bloomers such as many varieties of rose, carnation and zinnia are also less likely to draw bees to your garden bed. Marigold is a low-pollen annual that is easy to grow and often recommended to those looking for constant blooms that are less likely to attract stinging insects. Marigolds emit a strong, pungent scent that detracts most bees as well as most other insects and pests. 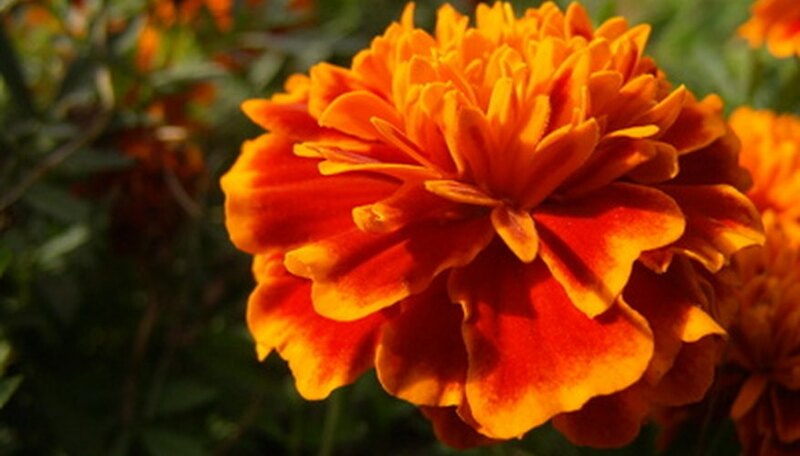 Marigolds are a favorite companion plant in the vegetable garden for that reason. 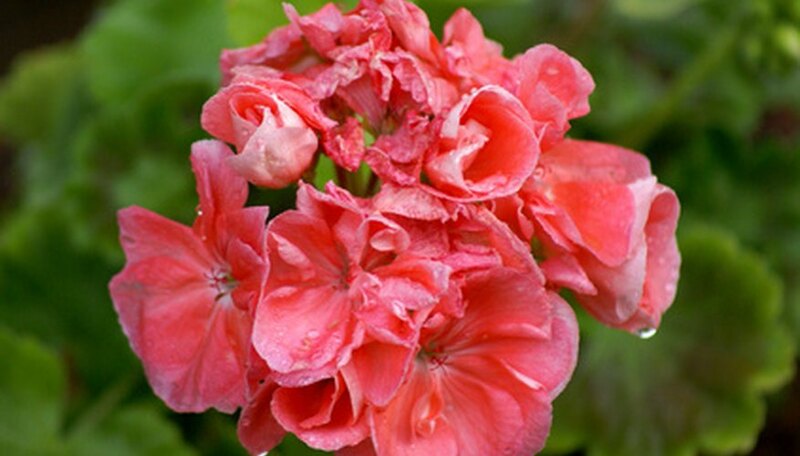 Geranium, often found in shades of red, is another flower less likely visited by bees. With a variety of cultivars from the hardy geranium perennial to ivy geranium trailing annuals, geraniums give off very little pollen, making them difficult for not only the bees but for plant experts as well. Easy to care for with an abundance of gorgeous clusters of blooms, geraniums are a perfect choice for any level of gardener.